November 2, 2016 – Montreal, Quebec – Critical Elements Corporation (the “Corporation” or “Critical Elements”) (TSX-V: CRE) (US OTCQX: CRECF) (FSE: F12) is pleased to announce that a drill rig will be mobilized in the next few days to initiate the exploration drilling program on the new Helico Sud discovery, 100% owned by Critical Elements. 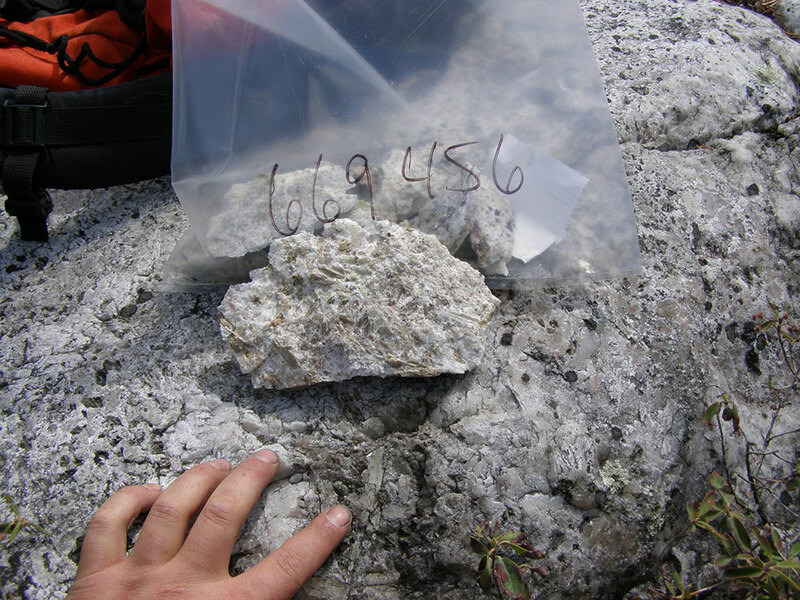 Samples collected on this discovery identified high-grade lithium zones within the Helico Sud pegmatite. 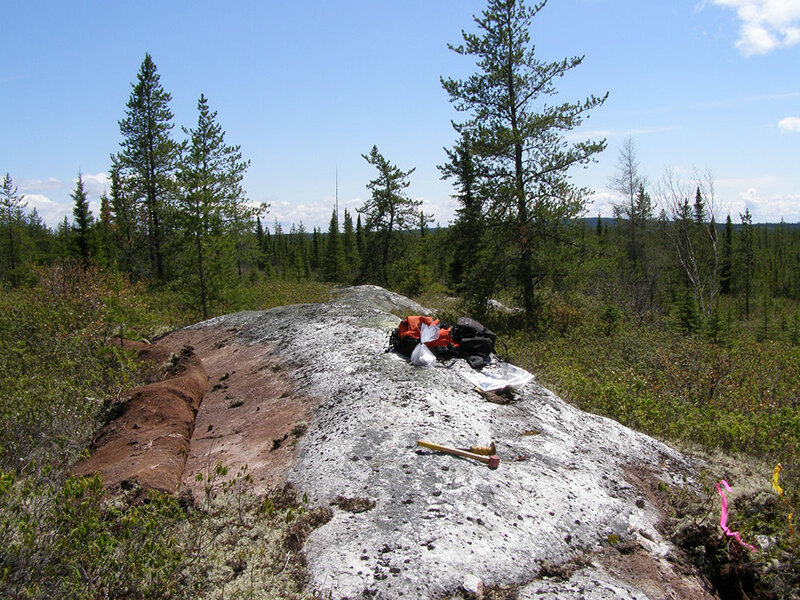 A total of nine chip samples were collected on the showings in areas of outcropping spodumene pegmatites (Photos 1 and 2). The results confirm high levels of lithium, with grades of up to 3.04% Li2O and 248 ppm Ta2O5, (See press release dated August 8, 2016, and the location map below (Figure 1). 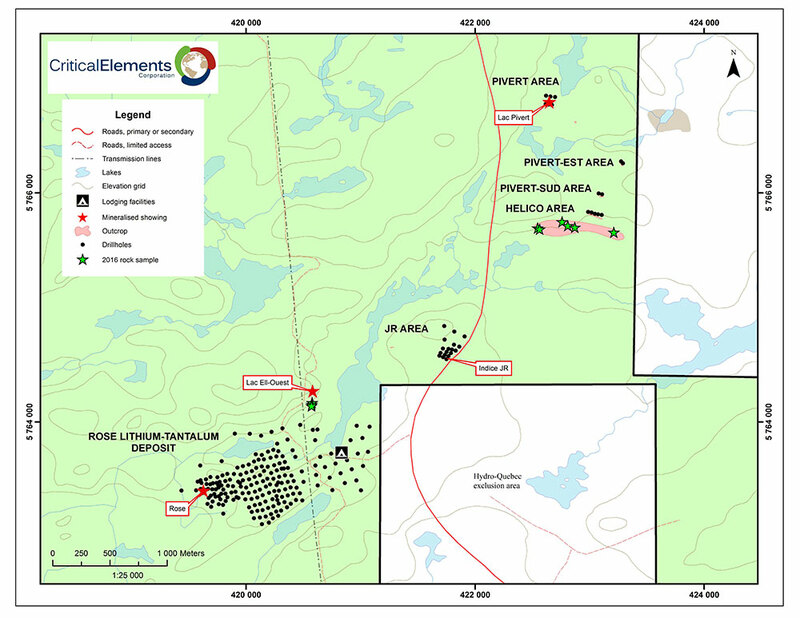 Critical Elements plans to start with an initial program of exploration drilling on the Helico Sud, Pivert and JR area, followed by condemnation drilling to test for possible resources at the planned site of the various Rose lithium-tantalum project installations, geotechnical drilling and a hydrogeological survey on the Rose lithium-tantalum deposit. The hydrogeological survey consists of “Packer tests” in historical holes and pumping test in two new six-inch wells to be drilled in the next few weeks. 1 Chip samples are selective by nature, and cannot be considered representative of the mineralization. Jean-Sébastien Lavallée (OGQ #773), geologist, shareholder and President and Chief Executive Officer of the Corporation and a Qualified Person under NI 43-101, has reviewed and approved the technical content of this release.